CMU Students, Staff Honor Dr. Martin Luther King Jr.
Monday the country remembers and reflects on the life of Dr. Martin Luther King Jr.
Central Michigan University students and staff are remembering his leadership and legacy today. 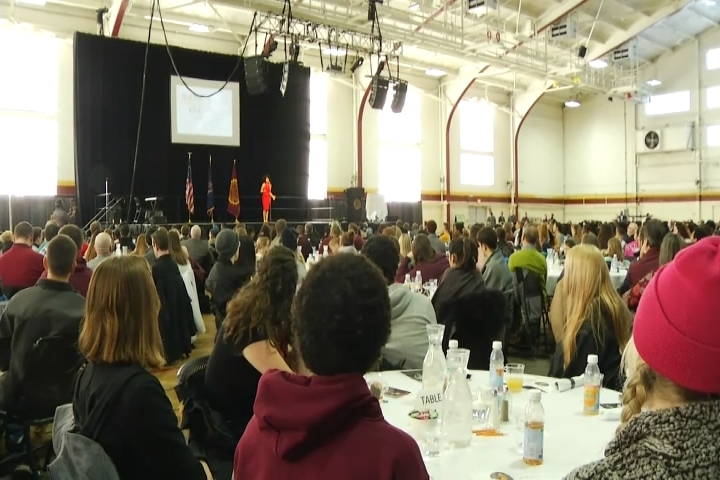 Hundreds of CMU students are celebrating Dr. Martin Luther King Jr.’s life by dedicating their day off to a day of service. They started off their day with a peace brunch that was filled with performances and speeches. Right now students are in the university center about to start their service projects. Those include making blankets for children in foster care, making valentines for the elderly and creating signs for the MLK march taking place later today. There’s about 10 different service projects being worked on in honor of Martin Luther King Jr. The march is set to happen around 3 p.m.